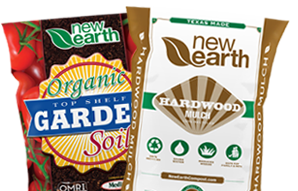 New Earth Black Mulch is made from 100% recycled products from right here in our community. Black Mulch is a natural product that provides weed suppression, moisture retention, and color enhancement. This product was created to provide you with the most beneficial and appealing product available and packaged for your convenience. Follow the directions below for the best results. 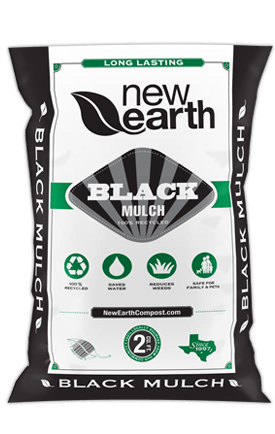 Thank you for choosing New Earth Black Mulch to beautify your landscape! Check your local for availability. Prepare the area by removing unwanted weeds and old mulch. Apply a 2″-4″ layer of mulch for walkways or around shrubs, flowers, and trees to help control weeds and retain moisture. Prevent disease, stress, and insects by avoiding direct mulch contact with the trunk of the trees or shrubs. 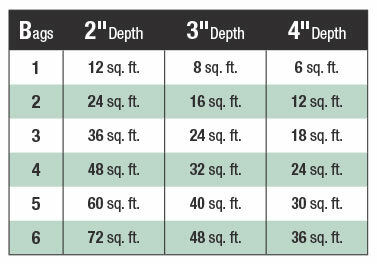 For best results apply mulch annually to increase air and water flow to the root zone.